The light fixtures of the German outdoor light specialist Bega are famous for two main reasons: best manufacturing quality and minimalist design. 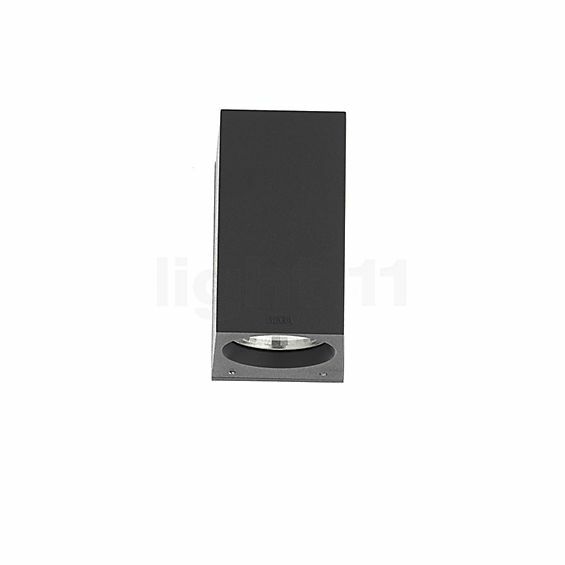 Naturally, these characteristics also apply to the Bega 33579 wall light LED: the luminaire is made of high-quality aluminium and stainless steel and is securely closed by means of silicon seals and safety glass. This is only topped by its reduced design: the lamp body of the 33579 LED wall lamp is slightly trapezium-shaped, which lets it unobtrusively blend with the house façade. Despite its small dimensions of 13 cm x 7.5 cm, it also supplies an impressive amount of light. The downwards-directed light passes a sheet of robust safety glass. The minimalist lamp body discreetly blends with any facade. 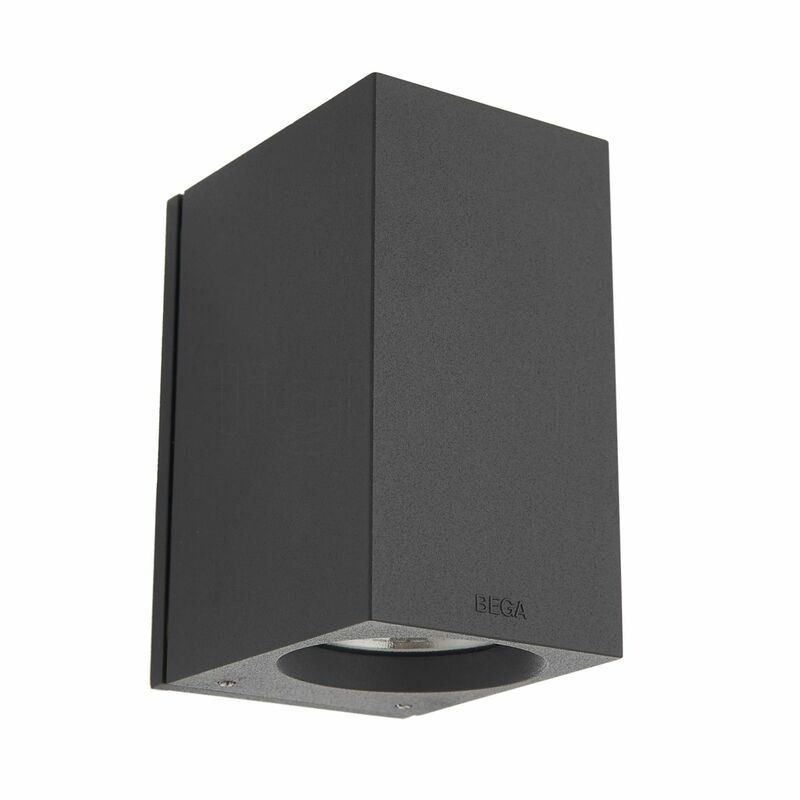 The Bega 33579 LED emits its light directly downwards. Thanks to the sophisticated aluminium reflector, the light emitted forms a parabolic beam of light on the wall. This precise way of lighting is perfect to accentuate particular architectural features. Furthermore, the 33579 LED by Bega proves to be extraordinarily efficient thanks to an economical LED module. The wall light has a protection degree of IP64, which means that it may be safely installed outdoors, as it is dustproof and protected against damage by splashes of water. Tell other customers and us about your experiences with the 33579 - Wall light LED ! The 33579 LED is a tasteful lighting solution for house facades. There, the main advantage of the wall light by Bega is its bundled downwards-directed light, which effectively highlights the area underneath. For this, the 33579 LED is especially well-suited to illuminate a house entrance, for example, when placed directly above the house number. In this way, the number is easy to read, even from afar. What is more, the wall light provides for good orientation in the entrance area.